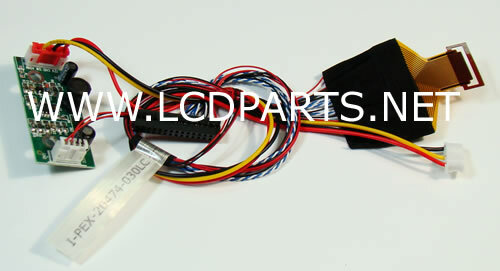 Memo When using the I-PEX-20474-030LC to test LED screens, be sure that the connection of I-PEX-20474-030LC should be face up as shown on picture below. This screen wire harness can ONLY plug in one direction. If you forced it in other direction, you will damage the input socket.